On the farm there are around one hundred suckler cows with calves. With help of the animals we can keep the fields and pastures open in an area which otherwise would have been overgrown with forest. The variety of forest, pasture and fields makes the area uniquely beautiful. 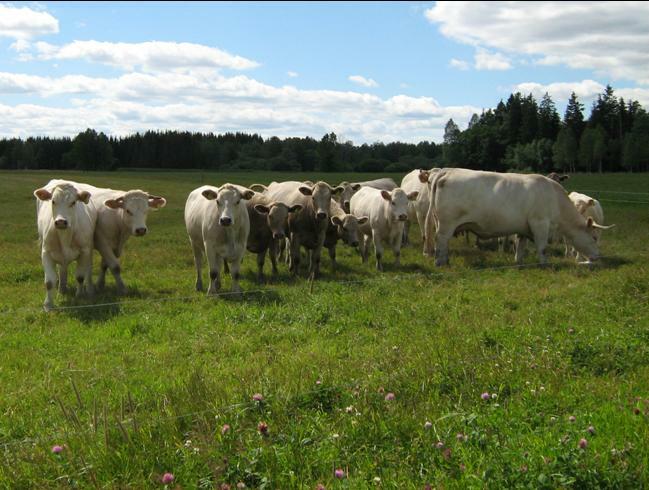 The bovine is mostly of the breed Charolais and is bred in a natural way where the cows are out on pasture together with their calves during summer time. 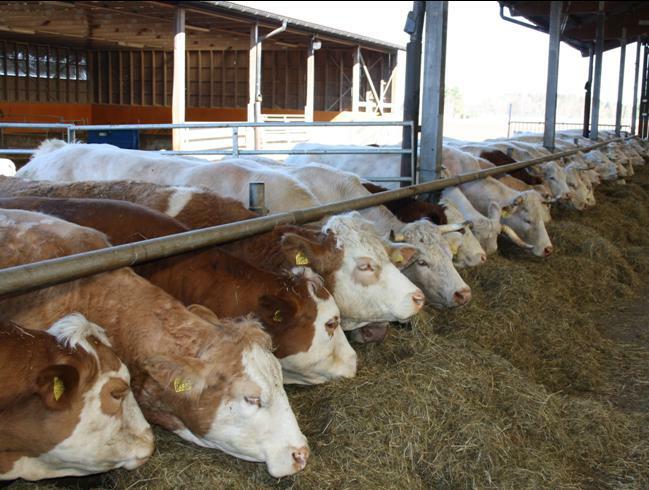 During winter time the cows get feed produced on the farm and they can choose whether they want to be outside or inside the stalls with cubicles or deep straw bed. The calves are borned in January to March. Then the calves go to pasture together with their mothers and during winter time they are bred in spacious boxes with straw. They are feed with early harvested silage and the bull calves also get some crushed cereals mixed in the silage. The bull calves grow approximately 1,5 kg per day and are ready for slaughter in the age between 13 and 16 months old and a weight of around 600 kg. The cow calves grow slower and go to pasture for two seasons before slaughter. Many of the cow calves/heifers are also saved for recruitment and go with a bull during the second pasture season. These heifers will calve when they are around two years old. The care of the animals and the environment are very important for us. 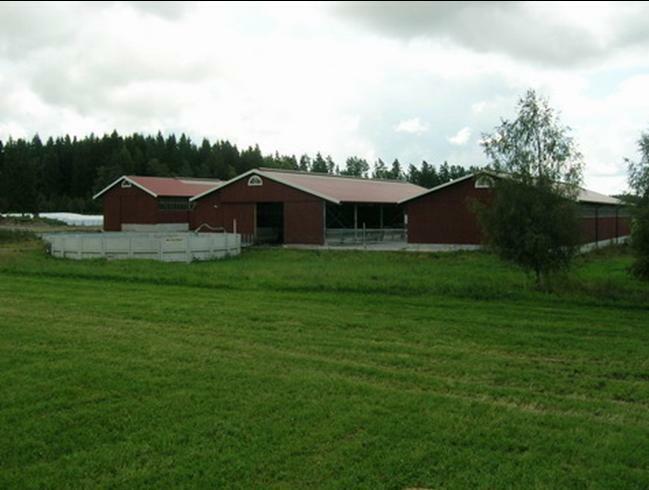 The animals live well in spacious stalls with open long sides which gives good air and natural daylight. The animals are bred organic and according to the rules of KRAV, which briefly means that the rules for animal welfare are more stringent and all feed need to be produced without pesticides and artificial fertilizer.